elliven studio: Our Weekend & The Canadian Bloggers Home Tour! Our Weekend & The Canadian Bloggers Home Tour! This weekend we finished decorating the tree. This included me taking a bit of a tumble! Don't worry, I'm fine, but I can tell you that it would have been a better idea to use the ladder that was beside the tree vs standing on an ottoman, not as stable as I thought it was! lol! If any of our neighbours saw me fall (because of course I was right in front of the window), I can assure you that they had a good laugh! Oh man! The kids took some time to decorate their mini gingerbread houses. I've always picked up this kit but this year, I regret not buying the regular sized houses. I'll have to remember that for next year. Before I go for today, here's a snap of a few of my favourite things! I honestly can't get enough BITE lipsticks. I love how smoothly they go on and how they feel like lip balm. Have you tried them? Be sure to enter the Mrs. Meyer's giveaway if you haven't already! The prize is pretty sweet! Have a lovely Monday! 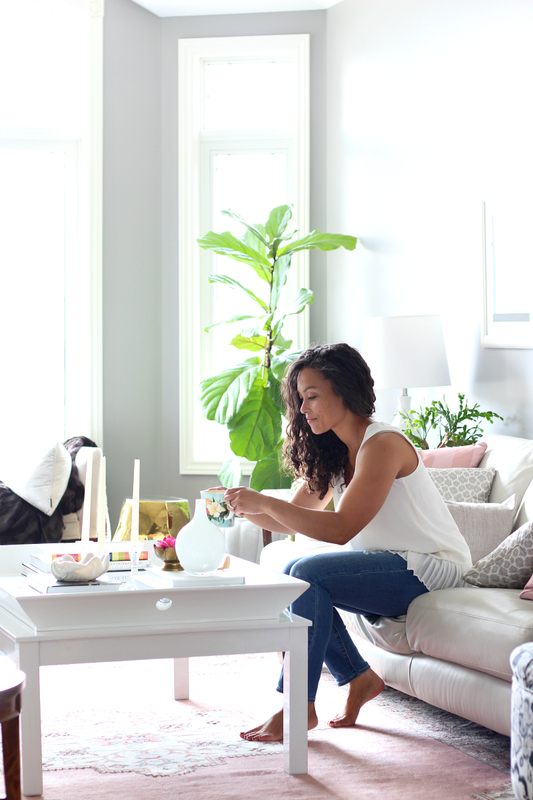 PS Today is the kick off to the Canadian Bloggers Home Tour! Honestly, these homes are STUNNING! Here's a collage that showcases all of the participants and below are the links to those who are posting today! Yours truly will be taking part on Friday! Mrs. Meyer's is Coming To Canada! And a Giveaway!